Nicole Scherzinger proved she’s ready for her X Factor return as she wowed in a blue jumpsuit at the show’s press launch in London. The singer showed off her enviable physique in a strapless navy jumpsuit with gold zips from Three Floor, which she teamed with red patent stilettos, voluminous waves and bright yellow nails. Nicole was joined by fellow X Factor panelists Gary Barlow, who kept it simple in a white short-sleeved button down and grey trousers, Louis Walsh, who dressed up his shirt and jeans with a blue blazer and returning judge Sharon Osbourne, who teamed a silver and black printed coat over black trousers. Xtra Factor host Caroline Flack was also on hand for the event, working a Sixties-inspired look in a check print skirt from Asos and a Missoni fitted black polo-neck top. 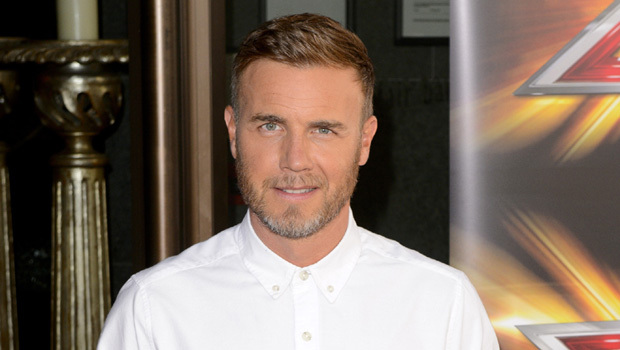 This series is rumoured to be the last for Gary Barlow – host Dermot O’Leary told reporters that the Take That singer will be ‘leaving at the end of this year,’ although producers have been teasing fans with the possibility of a fifth judge this year. Will you be tuning in? Let us know in a comment below.